Happy Wednesday! I wanted to take some time today to talk about my Fall teaching schedule and to share a promotion with you. 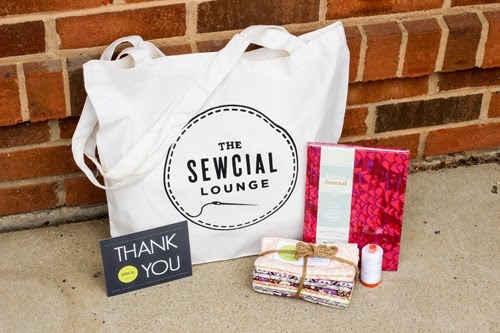 As I mentioned last month, The Sewcial Lounge is moving! The big day is rapidly approaching, and they need your help! They are running a fun Sewcial Tote Promotion with different levels of involvement. The feature product is these hand screen-printed tote bags! There are discounts and goodies to be had as well, so make sure to check it out! You can get all the details on the promotion here, and you can buy your tote bag in store or online. 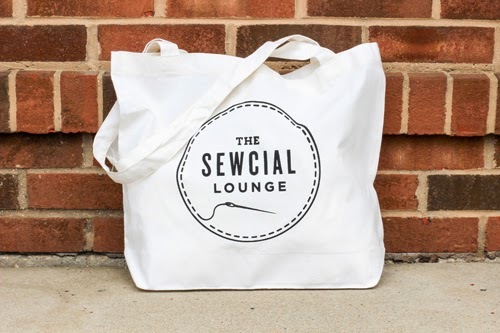 The Sewcial Lounge will be open in it's new location (841 Lakeside St, Suite A, Madison, WI) starting Tuesday, August 26th. They'll remain open in their current location through Saturday, August 23rd. And now, my Fall classes! All of this information can always be found on my Teaching page. 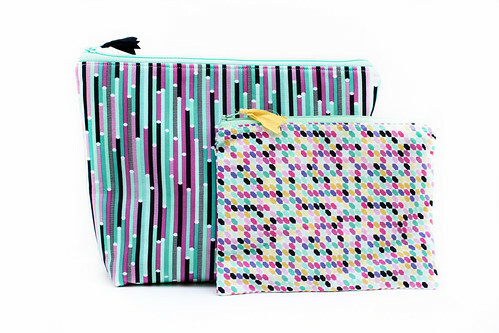 Learn to create two different style zippered pouches in this class! 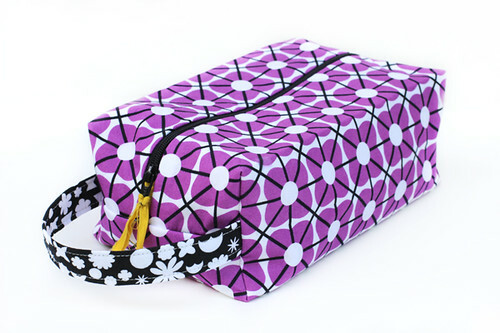 We'll cover zipper basics and learn to install a zipper for a simple lined pouch and a large cosmetic pouch using home dec fabric, from my Triplizip Pattern. We will advance our zipper skills in this class and learn to sew on laminated cotton. You will complete a boxed bag with handle, from my Triplizip Pattern. These make great gifts! 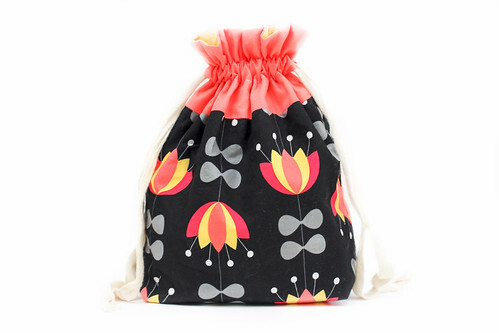 Learn to sew a simple bag using my Lined Drawstring Bag Pattern. These bags whip up in no time, and are great for holding just about anything! Give as a gift, or use as eco-friendly gift-wrapping. A great project for beginner & advanced sewers alike! Bag is fully lined and features a boxed bottom. Equilateral triangles are a great shape to work with in quilting, and they’re not hard to use! In this class we will learn how to cut equilateral triangles without a special ruler, and straightforward piecing techniques all while working on a fun pillow project. Learn the basics of quilting in this fun class! 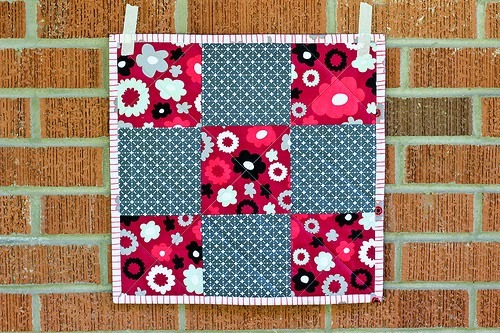 We’ll create a sweet nine-patch mini quilt for you to hang on the wall, or use as a table-topper. This class is a great way to try out quilting for the first time, or as a refresher! 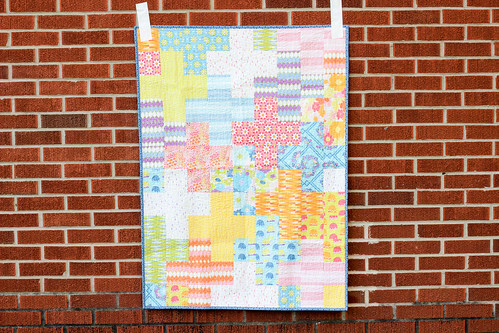 Join us for the Block of the Month Club at The Sewcial Lounge. In this club you will learn fun quilting techniques, meet new friends and create a gorgeous, unique quilt. Each month we will get together to create two new blocks. We will use my Simply Sampled Pattern for the blocks, which includes finishing instructions for the quilt to complete on your own. *First session is the 2nd Wednesday (Jan 14) due to Vacation. 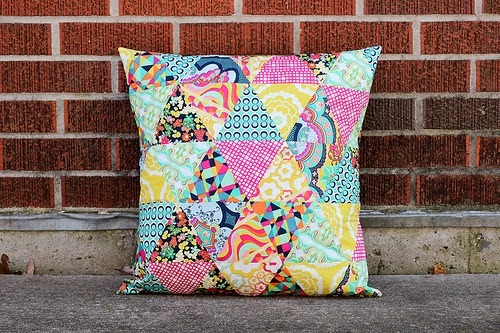 Join us for the Half-Square Triangle Block of the Month Club at The Sewcial Lounge! 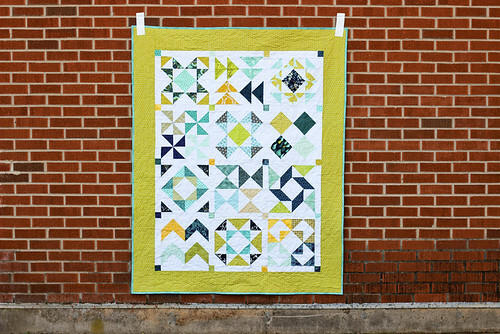 In this club, you will conquer half-square triangles, meet new friends and create a gorgeous, unique quilt. Each month we will get together to create two new blocks. 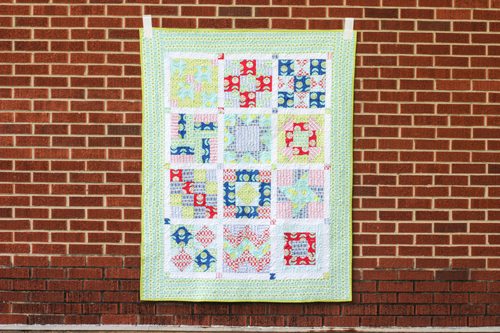 We will use my Half-Square Triangle Sampler Pattern for the blocks, which includes finishing instructions for the quilt to complete on your own. *First session is the 2nd Thursday (Jan 8) due to Holiday.